If you’re looking for low carb vodka drinks – you’ve come to the right place! Disclosure: I was provided with this book from the author free of charge in exchange for my fair and honest review. Please see my disclosure policy. This post also contains affiliate links for your convenience. Vodka is a zero carb alcohol, like most “clean” spirits. 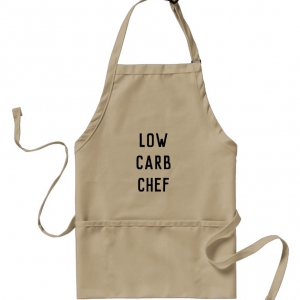 If you’re concerned about which types of alcohol work on your way of eating, please read my article Can You Drink Alcohol On A Low Carb Diet? The short answer, by the way, is yes – but only certain types AND you have to know your limit. 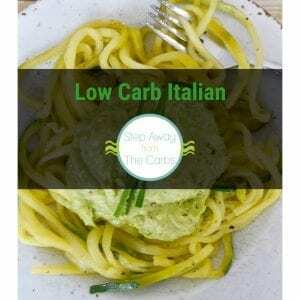 If one low carb mojito will get you reaching for a slice of high carb pizza, you’d better stay away. However, if you want to treat yourself, your best bet is to stick with vodka, gin, brandy, tequila, whiskey, or rum. 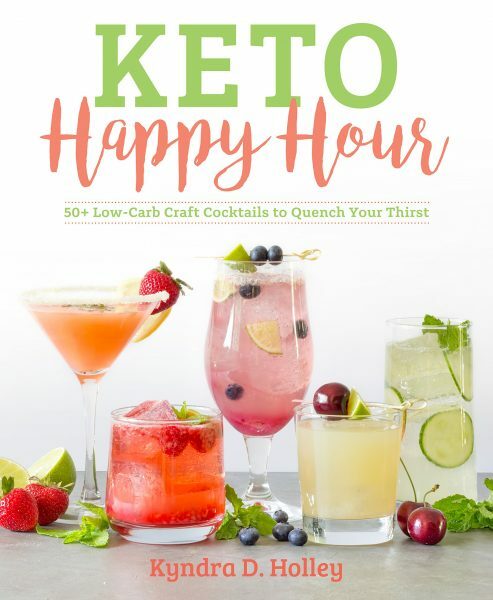 Which is why I was super excited to receive a copy of Keto Happy Hour, written by Kyndra D. Holley. 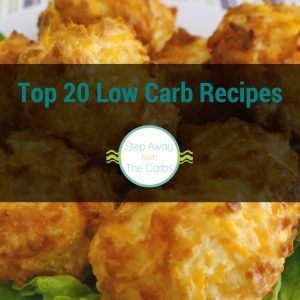 Kyndra is the author behind the amazing blog Peace, Love and Low Carb. The book is gorgeous, and makes me wants to try every recipe which is possibly dangerous, because there are over 50 of them! 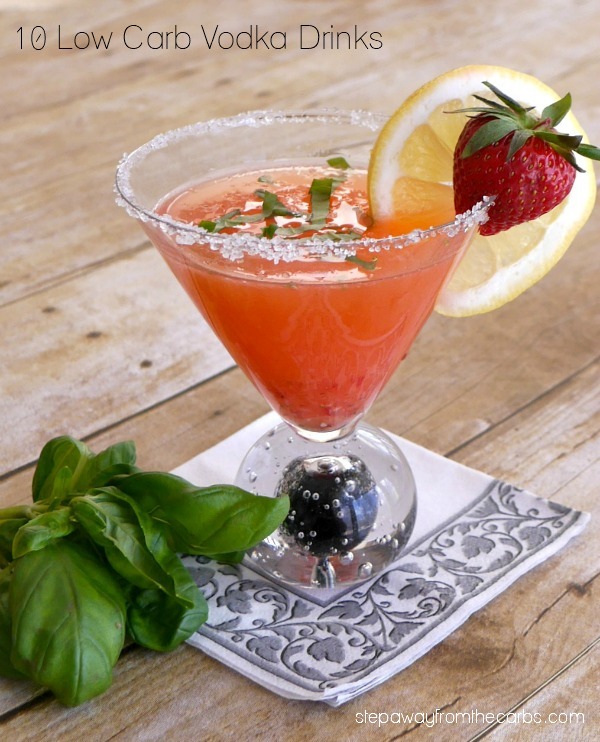 It was hard to decide which cocktail to try first… until the Strawberry Basil Lemon Drop caught my eye! I had *all* the ingredients already, with the exception of the low carb simple syrup (there’s a great recipe for it in the book, but I cheated and used zero-carb Da Vinci Sugar Free Sweetening Syrup)! It was SO good – you’ve got to try it! I prepared the glass by running a wedge of lemon around the rim, then dipping it in low carb sweetener (I used xylitol). Then I made the base of the drink by adding two sliced strawberries, lemon slices, fresh basil leaves, lemon juice and the sweetening syrup to a cocktail shaker, then using a muddler to crush everything down. I added the vodka and some ice cubes, and gave everything a good shake. 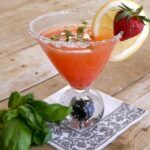 I strained it into the glass, and garnished it with an extra strawberry, a slice of lemon, and some thin strips of basil. Prepared the glass by running a wedge of lemon around the rim, then dipping it in low carb sweetener that has been placed on a small plate. 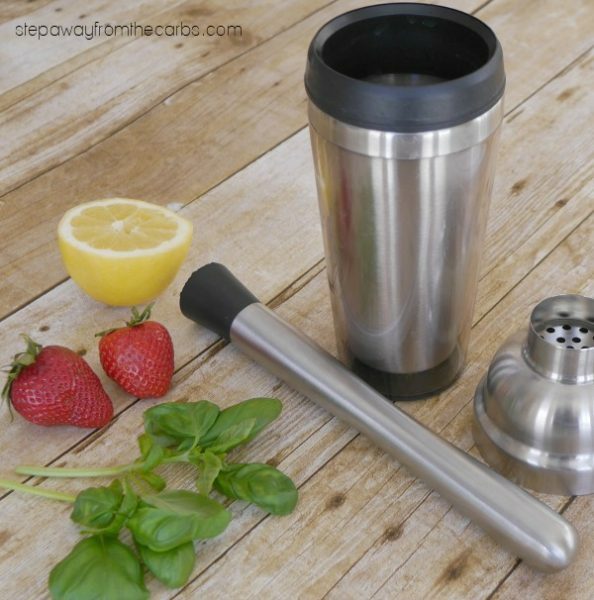 Make the base of the drink by adding the sliced strawberries, lemon slices, fresh basil leaves, lemon juice and sweetening syrup to a cocktail shaker, then using a muddler to crush everything down. Add the vodka and some ice cubes, and give everything a good shake. Strain it into the glass, and garnish it before serving. 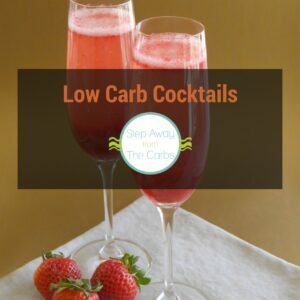 *You can find these two low carb vodka drinks recipes in my new revamped mini ebook, Low Carb Cocktails!